Only one available. The chrome billet drive pulley case set is precision-machined from billet aluminum. This case set replaces the existing front pulley cover, leaving the pulley visible. 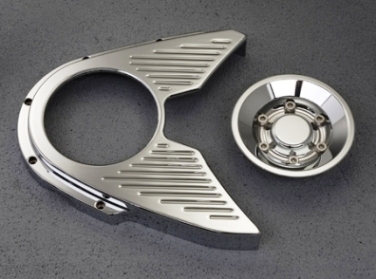 Kit includes chrome-plated billet pulley insert and chrome hardware that will give your bike a show-worthy appearance. 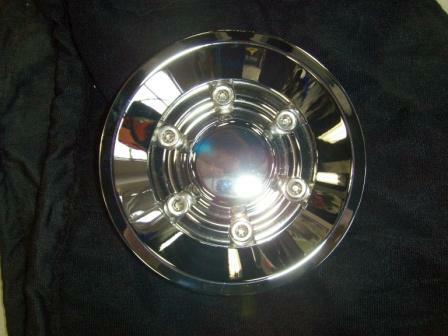 Pulley cover has slight damage to the rim edge, see 12 o'clock in the closeup photo.